After that, it was all but confirmed that this will not be a prequel to the Raven Boys, so we can assume it’s a sequel instead. And hey, turns out her editor is on board! But let’s not be too hasty, it’s only an outline that is not written yet. No further news like a publication date or info on the content are available yet. I received this news just as I had finished reading the final installment of the Raven Cycle and I was already missing these characters like crazy. So to find out then that there is more coming of at least one of them? Pure gold! Zenith: The Androma Saga is getting published as a physical book by Harlequin Teen in Fall 2017. 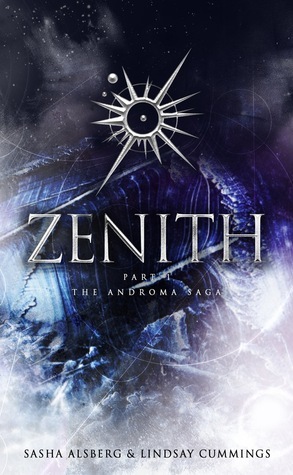 Zenith is a sci-fi story co-written by Sasha Alsberg and Lindsay Cummings. The first part of Zenith was released in June and hit #1 on the New York Times eBooks list. The original idea was to publish Zenith in serialized parts (of which part one was already self-published as an eBook), but now we will get the whole first book in one time as an actual physical book. 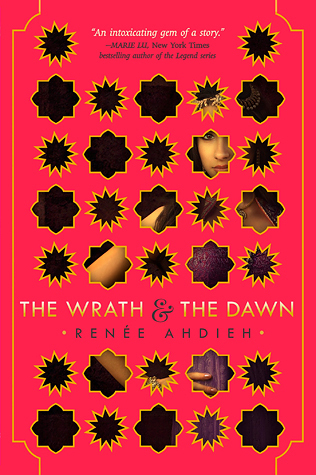 Renee Ahdieh, author of the Arabian Nights-inspired duology The Wrath and the Dawn, has announced her next duology, of which the first book will be called Flame in the Mist. Flame in the Mist is called a mash-up of Disney’s Mulan and fantasy action movie 47 Ronin. It follows heroine Mariko, who Ahdieh calls “an inventor and an innovator,” and it is set in feudal Japan, using legends, myths, and actual history to once again tell a unique story. I personally LOVED The Wrath and The Dawn and Renee’s way of putting a unique and gorgeously written spin on a known tale. Mulan is also my favorite Disney movie so I have a feeling this can’t go wrong. Bring on the Mulan gifs! 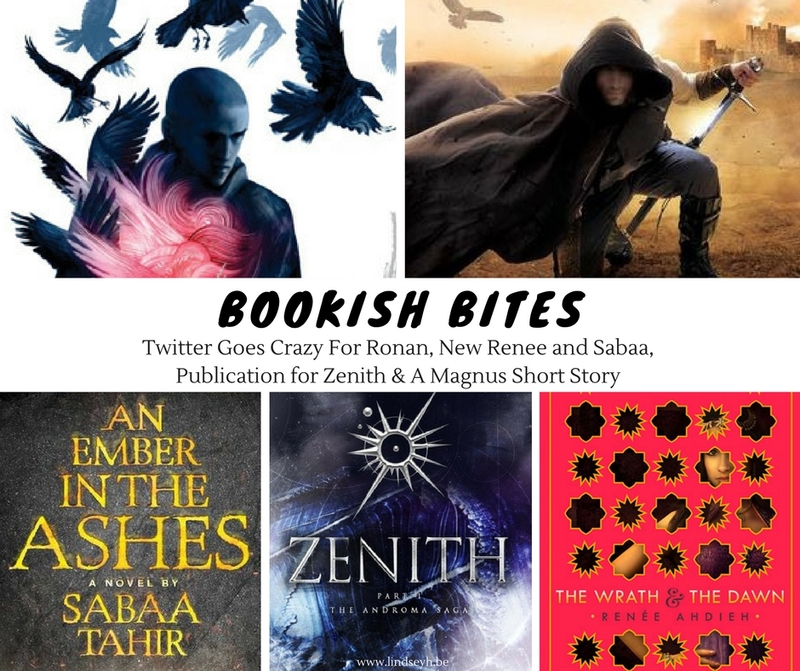 Razorbill, an imprint of Penguin Young Readers, has confirmed this week that there is a deal for books 3 and 4 in the “An Ember in the Ashes” series by Sabaa Tahir. The first book in this fantasy series was released last year and takes place in a brutal world inspired by ancient Rome. In this world we meet Laia and Elias. Laia is a girl whose family was killed and her brother taken by the tyrannical Martial Empire. So she disguises herself a s a slave in her quest to try and get her brother back. Elias is a soldier for the Martial Empire and is anything but free as well. Book two, “A Torch Against The Night” is scheduled for publication at the end of August. 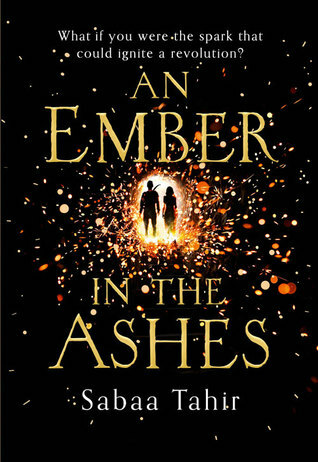 An Ember in the Ashes was one of my favorite books of 2016, so I for one am SUPER excited by the fact that not only will I be able to read the sequel soon, but the story will continue with two more books after that. Bring it on! Fantasy novelist Morgan Rhodes has written a Falling Kingdoms short story in anticipation of the 5th book in this series! The short story is called “Crimson Dagger” and is a prequel that centers on one of the most beloved characters from the books, Prince Magnus. In “Crimson Dagger,” Rhodes introduces us to Magnus as he was before the events of the series unfolded. 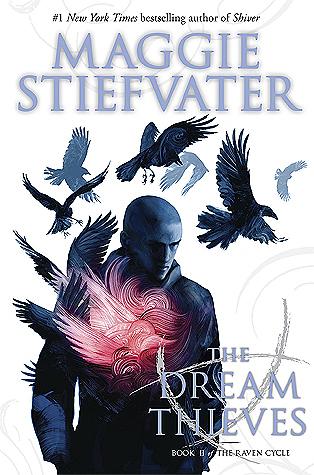 In this heartbreaking tale, a young Magnus experiences a life-changing event — one that impacts him for years to come and shapes him into the man he becomes. Part 1 can be found here and part 2 here. 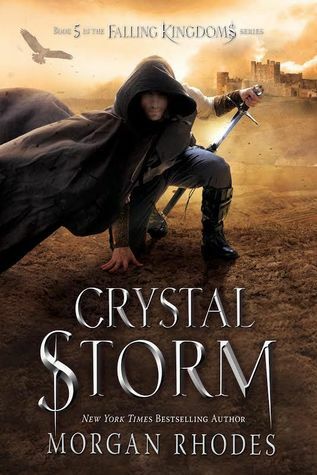 The fifth book in the Falling Kingdom series is called Crystal Storm and will be released on December 13th, 2016. Magnus is my personal favorite character in the Falling Kingdoms series, so I love that not only he gets his own cover this year but his own short-story! Let’s all share the Magnus-love! THANK YOU for these news! 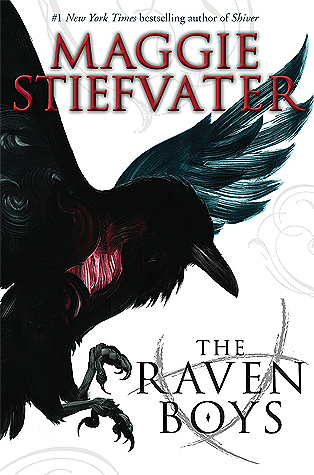 I just read the first book in The Raven Cycle for now, yet I am so excited to read about Ronan as well. He is such an unique character, and ahhhh I can’t wait. And I still need to read the sequel to The Wrath and The Dawn as well, so you’re not alone 🙂 But I’m sure it will be great and I can’t wait for this new series either. If it’s as good as TWATD it will be amazing!